With 5G slowly gaining traction to the point where the standard is expected to officially roll out next year, companies like Intel don’t want to waste a second on this opportunity. 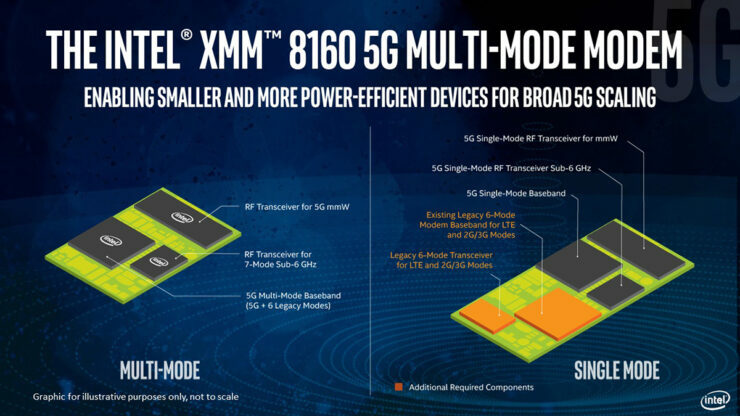 The processor manufacturer today announced a brand new 5G modem called the XMM 8160 that will arrive in 2020 and with it, you can expect a new threshold of wireless speeds to be achieved. Intel’s XMM 8160 5G solution will offer an ‘all in one’ solution for the company’s partners. This means that the chip will not just take care of 5G connectivity but will also be backward compatible with the 4G, 3G, and even 2G standard. 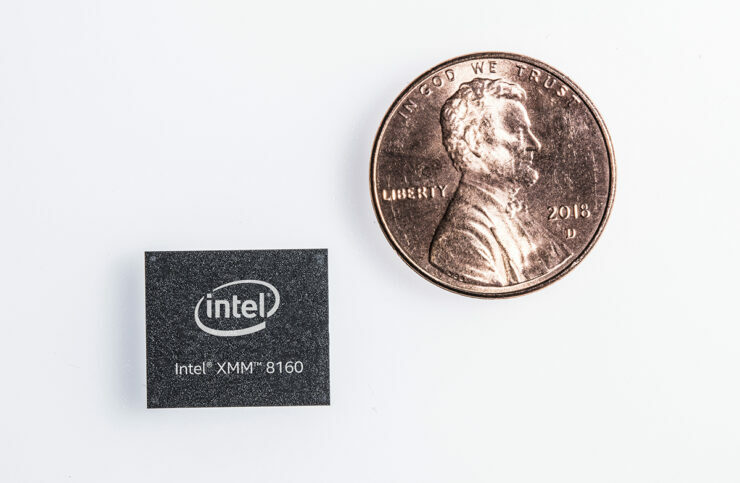 Being smaller than a penny and made on the 10nm process will ensure that the XMM 8160 will consume less power and dissipate less heat while occupying less space. For example, if the 5G modem is found in the 2020 series of Apple’s iPhones, occupying less space means that these devices will have enough volume to feature bigger batteries. Also, the chip will provide support for all necessary bands that fall in the 600MHz-6GHz all the way up to mmWave frequencies that start from 24GHz. 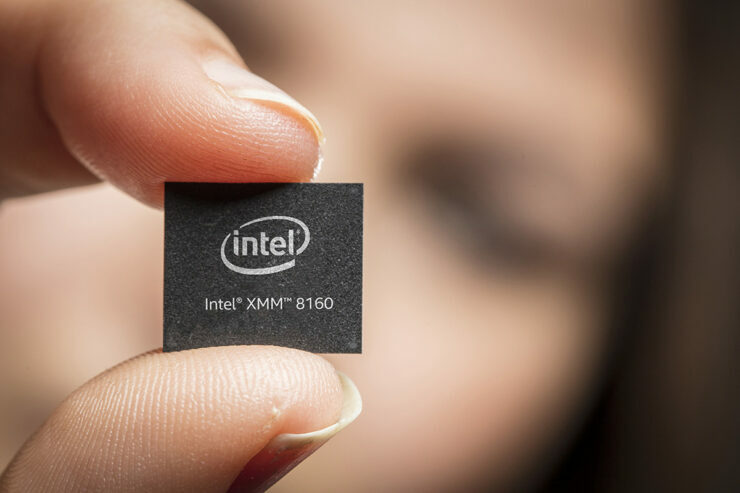 In case you’re wondering, whatever happened to the XMM 8060, which was supposed to be Intel’s official 5G modem? it looks like Intel might have discontinued that one. From the look of things, the chip was generating too much heat, which might have also upset Apple seeing the lack of progress from Intel to mitigate this problem. When 5G rollout has been successful in most parts of the world, the XMM 8160 is expected to deliver 6Gbps downlink speeds. Unfortunately, the word on uplink speeds has not been provided by Intel. For the time being, it definitely looks like the XMM 8160 is not going to be showing signs of overheating, but it still means that Apple will be releasing 5G-capable handsets a year after its competitors have launched their devices. If you want, you can check out other information related to 5G connectivity given below.